The apparent parallels between Mormon ritual and doctrine and those of Freemasonry have long been recognized. That Joseph Smith, Brigham Young, and other early church leaders were, at least for a time, Masons, is common knowledge. Yet while early historians of the LDS Church openly acknowledged this connection, the question of influence was later dismissed and almost became taboo among faithful church members. Just as Mormons have tried to downplay any ties to Freemasonry, Masons have sought to distance themselves from Mormonism. In Joseph’s Temples, Michael Homer reveals how deeply the currents of Freemasonry and Mormonism entwined in the early nineteenth century. He goes on to lay out the later declining course of relations between the two movements, until a détente in recent years. There are indications that Freemasonry was a pervasive foundational element in Mormonism and that its rituals and origin legends influenced not just the secret ceremonies of the LDS temples but also such important matters as the organization of the Mormon priesthood, the foundation of the women’s Relief Society, the introduction and concealment of polygamy, and the church’s position on African Americans’ full membership. Freemasonry was also an important facet of Mormons’ relations with broader American society. The two movements intertwined within a historical context of early American intellectual, social, and religious ferment, which influenced each of them and in varying times and situations placed them either in the current or against the flow of mainstream American culture and politics. 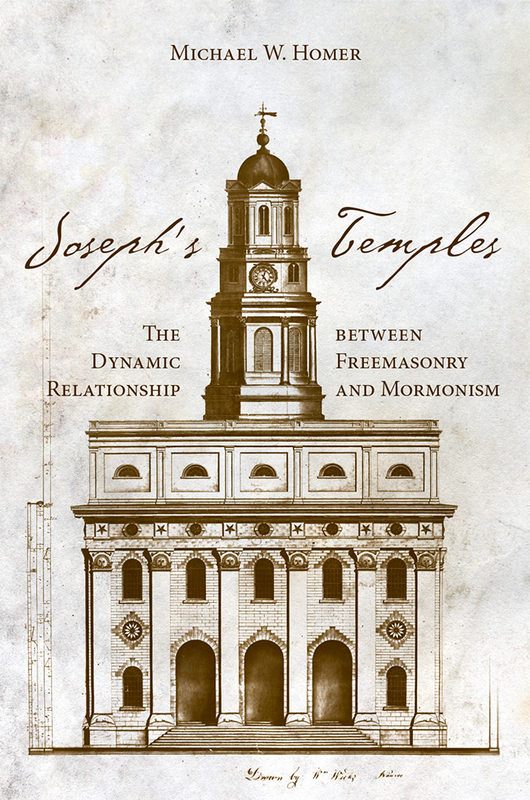 Joseph’s Temples provides a comprehensive examination of a dynamic relationship and makes a significant contribution to the history of Mormonism, Freemasonry, and their places in American history. Michael W. Homer practices law in Salt Lake City. He is an award-winning author and has published numerous articles in the fields of law and Mormonism. He is the editor of On the Way to Somewhere Else: European Sojourners in the Mormon West, 1834-1930 (University of Utah Press, 2010).